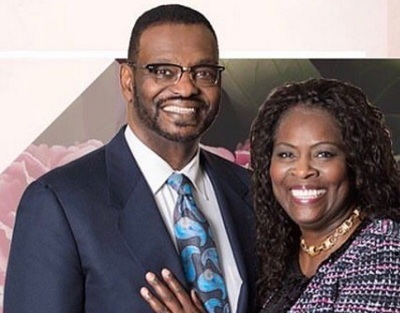 Bishop Harry Jackson, one of the chief advocates of the reconciled church movement and leader of Hope Christian Church in Maryland, lost his wife Vivian, who died peacefully last Monday. "It is with a heavy heart that we notify you that our beloved Dr Vivian M Jackson has transitioned to be with the Lord on April 2, 2018. Information about the memorial service will be forthcoming. Please pray for the Jackson Family's comfort and respect their right to privacy at this time," the church said in a brief statement shared with The Christian Post on her passing Friday. It is unclear what the cause of her death was, but in a blog just seven days before her passing, Vivian Jackson revealed she had previously battled multiple myeloma, a blood cancer, in making a point on why it is important to celebrate. Her husband is also a survivor of esophageal cancer. "In 2011 I was recuperating from multiple myeloma, a blood cancer. It was the third year of treatment. I had been deathly ill as the treatment was extremely toxic. Despite the prayers of the saints and my daily confessions and petitions I seemed to remain at a standstill. I asked the staff at my church to help me have a party to celebrate life," she wrote. "That year I hosted a little black dress party, supported a local agency that supports families challenged with intimate partner violence, gave away gifts, ate fabulously delicious food, learned a few things to improve my health, laughed and danced with my girls, women in my church, and my circle of First Lady Friends." She added: "Remembering is important. Retelling the story imprints the memory for posterity. Your children's children need to know why you commemorate certain days and the significance of their participation in the celebration. The generational transfer of knowledge is facilitated by rituals, photographs, books, and the telling of the story. Be bold tell the story! Commemorate the event! Allow the power of celebration to work for you as you build your family, tribe, and clan." Vivian Jackson served as Christian education and women's pastor at Hope Christian Church. She is described by the church as a veteran advocate for building strong families as the foundation for supporting academic achievement. She was also a special education expert who founded two Christian Day Schools after previously serving in Ohio and Massachusetts public school systems. "Passionately building families and supporting children is my life's work. Creativity, innovation, and humor are hallmarks of my style. I believe that people sing what they believe and only do what is convenient. A part of my work is to help find an alternative reality that gives the payout desired and provide the encouragement to make the commitment to do what is necessary to receive the payout," she explained about her work. She leaves behind her husband and two adult children, Joni M. and Elizabeth R. Jackson. Visitation with family will be held on April 13 at 9 a.m. while a celebration of her life will begin at 11 a.m. at First Baptist Church of Glenarden, located at 600 Watkins Park Dr., Upper Marlboro, Maryland. Interment will follow at Maryland National Cemetery in Laurel.